Several events are planned in March in celebration of National Women’s History Month. All events are open to the public and, unless otherwise noted. are free. Sign language interpreters will be provided upon request; call (815) 753-6515 (one week’s notice is preferred). For more information, call the Center for the Study of Women, Gender & Sexuality at (815) 753-1038 or email wgs@niu.edu. 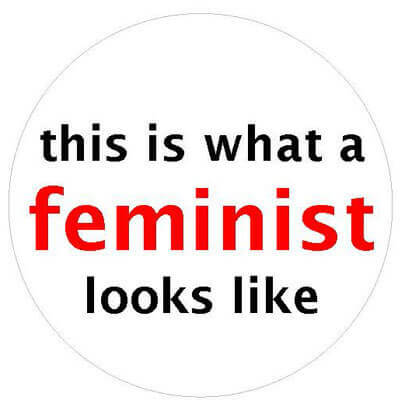 The 12th annual celebration of “This is What a Feminist Looks Like” Sticker Day aims to break damaging stereotypes that cast all feminists as female, white, middle-class or politically radical, and to open up the definitions of the word “feminist” to more complicated meanings. Stop by Room 103 in Reavis Hall to pick up a free sticker and wear it with pride. Buttons are also available for $1. Marcia Chatelain’s seminar will focus on the struggle to have girls and young women of color recognized as vital parts of the current conversations about policing and communities. By taking a long view of how girls and young women have struggled with excessive policing and abuse, this paper will consider the revolutionary possibilities of saying her name. During the seminar, students will interact directly with Chatelain and be able to ask her about her research process and its applications for their own scholarship and teaching. 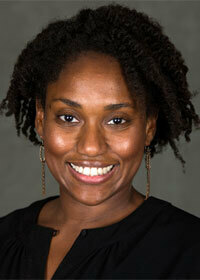 Chatelain is an assistant professor of history at Georgetown University. She is the creator of the #FergusonSyllabus hashtag and author of “South Side Girls: Growing Up in the Great Migration” (Duke UP, 2015). Sponsors are the Center for the Study of Women, Gender & Sexuality, the Graduate Colloquium Committee and the Department of History. Chatelain’s lecture will examine the ways that black freedom struggles from the 1950s to the present have ignored the fundamental importance of gender to every aspect of social movements, from leadership to strategy. This talk will highlight the ways that #BlackLivesMatter is articulating a new vision of racial and economic justice that practices and models gendered consciousness. Sponsors are the Center for the Study of Women, Gender & Sexuality, the Graduate Colloquium Committee and the Department of History. The NIU Conference for Young Women introduces high school women to the academic side of college life; inspires them to transform their dreams of going to college into reality; and provides opportunities to interact with successful women faculty, professionals, NIU students and alums. Registration is available online. 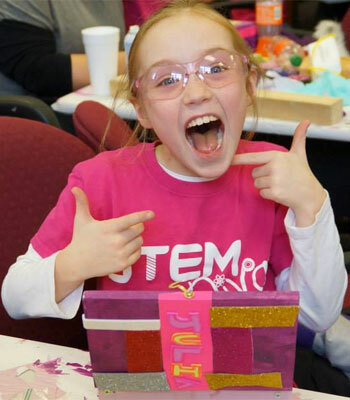 NIU’s STEM Divas program unleashes beautiful minds by introducing younger girls to positive female STEM role models, through engaging projects that relate to their own lives and interests. In this session, the Divas will explore the world of music and song as they learn how instruments create sounds, and how those sounds work together to create music. Divas will then use what they’ve learned to create their very own simple musical instruments. Suggested ages are 7 and older. The cost is $42. Registration is available online. Sponsor is STEM Outreach. Author Julia Alvarez will be at the Latino Resource Center to greet students, staff and faculty. 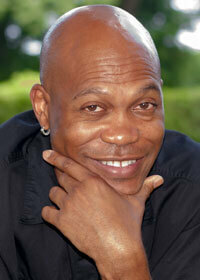 Alvarez was born in New York and raised in the Dominican Republic. She is a poet, fiction writer and essayist, author of world-renowned books in each of the genres, including “How the García Girls Lost their Accents,” “In the Time of the Butterflies” and “Something to Declare.” Sponsors are the Latino Resource Center, with support from the NIU University Libraries and the DeKalb Public Library, which received funding from the National Endowment for the Arts in partnership with Arts Midwest. What a better way to end Big Read month than to hear from Julia Alvarez, the author of “In the Time of the Butterflies.” Alvarez will talk about her experiences and research involved in writing this hauntingly beautiful novel. There will be time for Q&As after the presentation. Free copies of the Big Read book will be distributed. This event is free and open to the entire community. Sponsors are the National Endowment for the Arts in partnership with Arts Midwest and the DeKalb Public Library. E. Patrick Johnson’s lecture will address his ongoing ethnographic work with Southern black lesbians, including a discussion of the challenges to conducting oral histories of black lesbians based not only on gender differences between his subjects and himself, but also the content of their stories. Johnson is the Carols Montezuma Professor of Performance Studies & African American Studies at Northwestern University, and the author of “Sweet Tea: Black Gay Men of the South—An Oral History” (Univ. of North Carolina Press, 2008), which was a Stonewall Book Award Honor Book. Sponsors are the Center for the Study of Women, Gender & Sexuality and the Graduate Colloquium Committee. Johnson’s seminar will focus on some of the challenges of doing sexuality research across the gender line. Drawing from his own experiences in conducting research on black lesbians of the South, Professor Johnson will discuss the politics of conducting research on a population across gender and class boundaries. Sponsors are the Center for the Study of Women, Gender & Sexuality and the Graduate Colloquium Committee.